First action at Nebraska. 19/32 238 yds 2 TD 0 int. Nebraska holds on vs Arkansas St 43-36. Not inclined to start a separate thread on former players. So Veal scored on a punt return for La Tech. Think I saw him fumble once too. Can't say I was focused on their game but it didn't seem like Nebraska's offensive line could protect him either. Wow, ok he had all day on most of his TD passes. I know a lot of you on here are Lee homers,but just admit he isn't as great as everyone thought he could be. Sure, he looks good against inferior talent. Well I was flipping around a lot. And drinking. Just seemed like he was constantly picking himself up off the ground. At the same time I can't explain how they got to within 7 either since the last score I remember they were down 28.
he's going to have three consecutive easy weeks, but it looks like some of the Nebraska faithful are starting to realize he's not that good. He's not good. He wasn't good here, and he's not good there. Period, end of story. He is there, what he was here. A 50% passer who throws as many INTs as TDs. Iowa can run, but it can’t hide. The Badgers do what the Badgers do, now and always. The road to Indianapolis still marches through Lincoln. Wow, um, husker-colored glasses much? I don't think that's been the case ever (since they joined the Big 10). More like through Madison. he's just good enough to get you beat. I thought he threw too many unforced INTs. I'm still annoyed at play #1 v. Memphis, c. November, 2014. You are right on point. Have never seen a QB throw more interceptions then TLee. Tanner might be the real life equivalent of Nuke LaLoosh--a million dollar arm and a ten cent head. Tanner has thrown 2 pick 6's to NIU early on. That's tough for him but who here didn't see this coming? Tanner has two rushing touchdowns today. Why did he leave us again? Nebraska drops game to NIU. T. Lee gives up 2 and runs for 2 - net zero. that's the Tanner I'm used to seeing!!! Two pic 6s will earn a place on the pine in most programs. Not a lot of happy campers in Lincoln right about now. I guess he really is terrible and it wasn't our OL after all. been trying to tell many of yall that for a while. He only started his Sr year in high school. His Jr year, he split time with another QB who was more mobile. 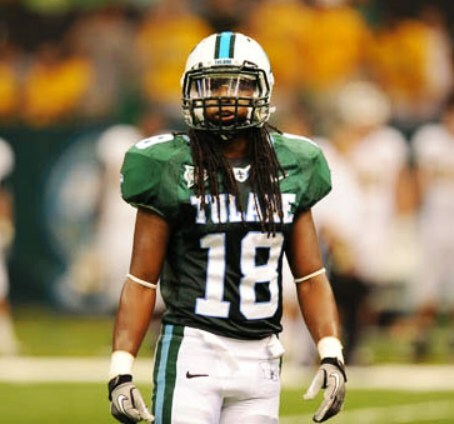 He was given the keys for 2 years and couldn't do a dam thing for the Tulane offense. Granted, CJ threw him to the wolves. My wife's uncle called after TL's first game to thank me. I returned his call last night to say "No refunds. No exchanges."